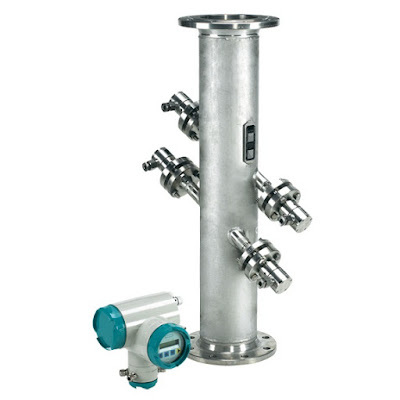 The SITRANS F US SONO 3100/SITRANS FUS060 flowmeter consists of a SITRANS F US SONO 3100 sensor with O-ring or flange transducers depending on the application. The standard version is delivered as a 2-track sensor with or without flanges; 4 tracks are available upon request. Available pipe materials include carbon or stainless steel on request. The SITRANS FUS060 transmitter is engineered for high performance applications and designed for remote installation in hazardous as well as non-hazardous environments. In addition to the standard outputs, it also offers communication. Application Examples: Oil, Cryogenic liquids, Power engineering, Cold- , Hot- and Waste water. The combination of the SONO 3100 sensor and the FUS060 transmitter is ideal for applications where process shut-down is impossible during service and where there is a need for extreme high/low temperatures and pressures. Transducers can be changed without interrupting operation. SONO 3100 can optionally be delivered as a 4-path solution for absolute best performance and accuracy. The SONO 3100 in combination with FUS060 consists of a SONO 3100 sensor, SONO 3200 transducers with O-rings or flanges depending on selection - and a FUS060 transmitter. SONO 3100 is basically supplied in a 2-path solution with flanges in sizes from DN 100 to DN 600 and without flanges in sizes from DN 100 to DN 300. 1-path or 4-path special versions are available on request, depending on size (DN 25 to DN 1200). SONO 3100 is as standard available in carbon steel from DN 100 to DN 600. FUS060 is designed for remote wall mounting only. The transmitter type FUS060 is designed for remote installation in non-hazardous or hazardous areas. The transmitter is designed for use in a flowmeter system together with sensors type SONOKIT, SONO 3300 and SONO 3100. The FUS060 is ordered as part of a complete flowmeter system. It can be ordered separately as spare part and manually programmed with the sensor data. The operating and display panel permits simple operation without supplementary equipment. It is not necessary to open the housing. All changes to a setting can therefore also be carried out in the potentially explosive atmosphere. The HART protocol is implemented via the analog output (current output). Using this communication facility, the device can be parameterized with a PC/laptop and SIMATIC PDM software in addition to local operation. In the version with PROFIBUS PA, the analog output is replaced by the digital PROFIBUS PA output. The device can then be parameterized via PROFIBUS communication and with SIMATIC PDM in addition to local operation. The transmitter output is often used as input for an automation system or as input for systems of remote reading. The SITRANS FUS060 transmitter offers current, pulse and relay outputs as standard output functions and supports HART or Profibus PA communication. The settings of the transmitter output functions are individually programmed via keypad and display menu. Flow by measuring the transit time difference of ultrasonic signals through ultrasonic transducers in DN 100 (4") … 3000 (120") 2-path sensor pipes (depending on selected size, 1-path or 4-path special solutions are possible). 120 m (395 ft) (shielded coaxial cable). For Ex version the transducer cable length is restricted to 3 m (9.84 ft) in order to meet requirements for electrical immunity. For systems with sizes ≥ DN 1500 (60") cable length is recommended to be max. 30 m (98.4 ft). Current output programmable for flow, sound velocity or amplitude level. Pulse, frequency or status output - programmable for pulses, frequency, alarm, limit or status. Relay output - programmable for alarm, limit or status indication. The measuring media must be ultrasonic signal compatible. It must be homogeneous and not two-phased to transfer the acoustic ultrasonic signals. For ATEX versions mounted in the Ex area only with 3 m (9.8 ft) long cables. This device is shipped with Safety Notes and a DVD containing further SITRANS F US literature. Details about the SIMATIC PDM tool can be found on page 8/11, chapter "Communication and Software"
See page 8/18, chapter "Communication and Software"
The transmitter configuration is made in the flowmeter order codes (together with the sensors). The information below is for spare part ordering only and with fixed standardized pre-settings for a DN 2000 2-path system. Ordering of pre-configured FUS060 spare transmitters only via PVR (product variation request - special request). For ordering with the regional specific approval of a KCC marking for Korea, the option -Z W28 is to be added to the order codes above. FUS060 Sensor connection PCBA, Standard versions only, 1 pc. FUS060 Sensor connection PCBA, ATEX version only, 1 pc. M20 cable gland set for FUS060 (M20) power and output connection, grey PA plastic, 2 pcs. 1/2" NPT cable gland set for FUS060 (NPT) power and output connection, grey PA plastic, 2 pcs. M25 cable gland set for the FUS060 PA (M25) power and output connection, prey PA plastic, 2 pcs. M16x1.5 cable gland set for FUS060 (M16) sensor connection, gray PA plastic, 2 pcs. and 2 pcs. blind.